﻿ How to select round vibrating screen? Location: Home » NEWS » How to select round vibrating screen? How to select round vibrating screen? Circular vibrating screen is an auxiliary sand – making tool. Because of its circular vibration, it is called a circular vibrating screen. The circular vibrating screen equipment uses block eccentric as the excitation force, so it has a strong excitation force. When users choose round vibrating screen, they must pay attention to screen quality. So how do you choose a good screen? Sieve mesh is made up of screen cloth, sieve plate and screen frame. The screen mesh is 3 layers, the bottom of which is coarse screen cloth and the main is supporting role; The top layer is the fine screen cloth and it has the screening function. A round vibrating screen usually has three layers, and that is also designed for efficient screening. When choosing, pay attention to: select the screen with standard aperture; Select the screen mesh with thick wire diameter; In addition, the screen mesh with a knot on both sides is selected, which is not easy to be removed by vibration of vibrating screen. In addition, the best choice is polyurethane material screen; Cheap screen mesh is not accurate, which may result in different sizes of product granularity. 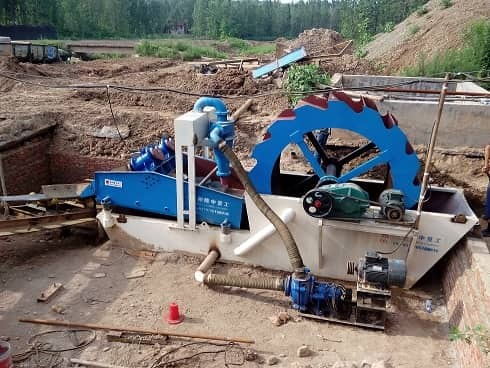 At present, there is equipment in the longzhong: round vibrating screen, vibrating screen, sand washing machine, fine sand recycling machine etc.